Ezyn Dia Abrasives Inc., is a service driven company specializing in stone polishing tools; Polishing Pads, Diamond Cup Wheels. ☞ Velcro backed polishing pads are designed to achieve a scratch-free highly polished finish on all straight or contoured granite and marble edges. Four different ceramica pad's types are available for the customers to be ensuring the high performance according to application. 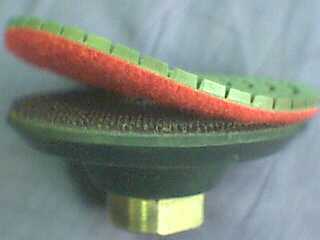 ☞ Velcro backed discs for attaching polishing pads to hand-held electric polishing tools. This Velcro backing allows for fast pad changes during the polishing process. 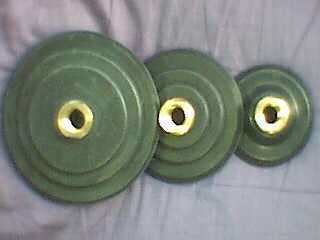 Ideal for polishing of concave surfaces. ☞ Uniquely designed shape allows for superior form mark removal, and also provides effectiveness in the process of concrete deburring and rough-surface grinding. For general applications for grinding and material removal and ideal for smooth shaping and finishing of concrete, stone, and masonry surfaces. For faster removal, grinding, rough deburring, finishing of concrete, stone, and masonry surfaces. For heavier material removal and for steep slopes and ideal for smooth shaping and finishing of concrete, stone, and masonry surfaces.